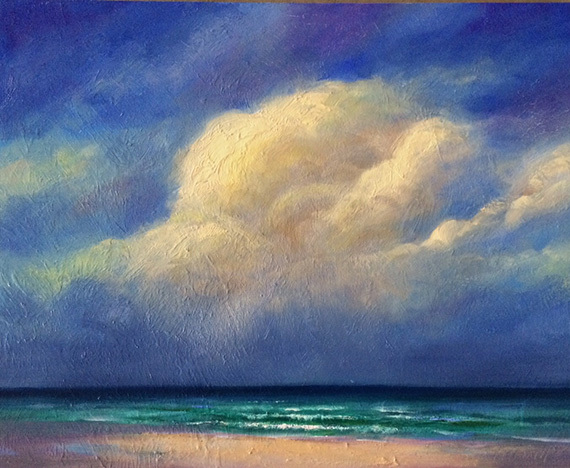 If you’re a fan of the beach and the beautiful impact that clouds can have on the sky then you’ll love this piece. This is a 16 x 20 oil on panel original painting that I did in Gulf Shores Alabama. If you like the beach then this one might be the one for you.